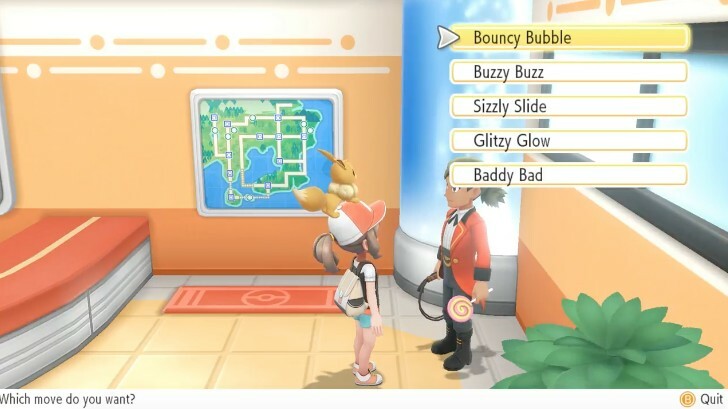 First, there’s a male NPC at the right corner of most Pokemon Centers in the game which will teach your partner Pokemon (Pikachu/Eevee) new “marvelous” moves never seen before in the game. 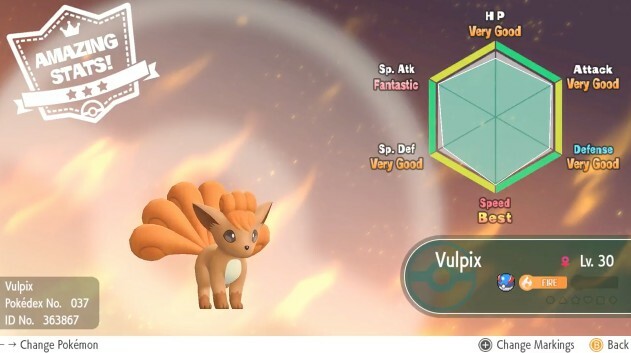 Here are some of the moves Eevee can learn. 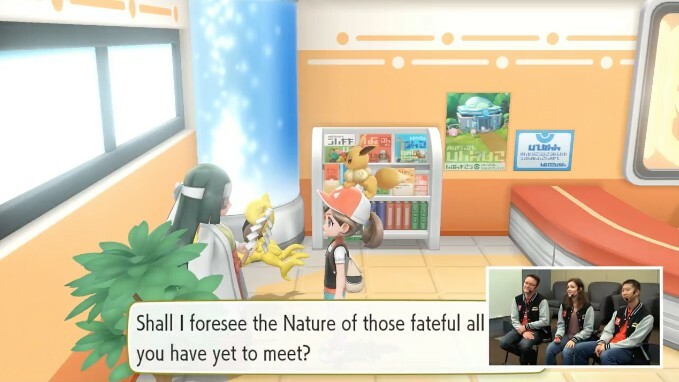 On the left corner of the Pokemon Center is a maniac NPC with an Abra. Pay the maniac 10,000 Pokemon Dollars and it will “predict” the nature of every single Pokemon you catch. You’ll be asked three questions, which don’t really mean anything, to set the nature of the Pokemon you want to catch in the wild. While the effect is temporary, Nintendo says it will “last for awhile”. Next, we learn about a new feature called Judge which is similar to the Appraisal feature in Pokemon GO. This will give you a rough gauge of a Pokemon’s IVs. 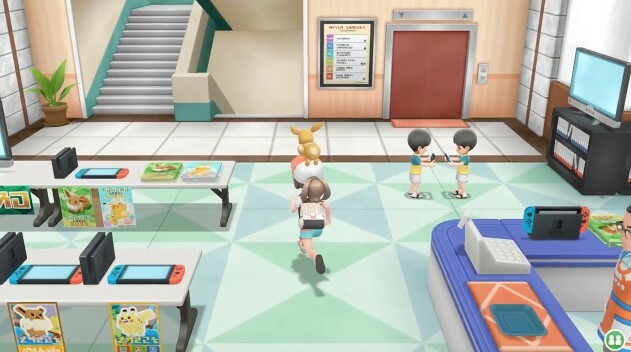 Lastly, we have a look at the video game center in Pokemon Let’s GO Pikachu/Eevee, which has lots of Nintendo Switch consoles on display and promotional material for Pokemon Quest.